The successful functioning of 20 nos. 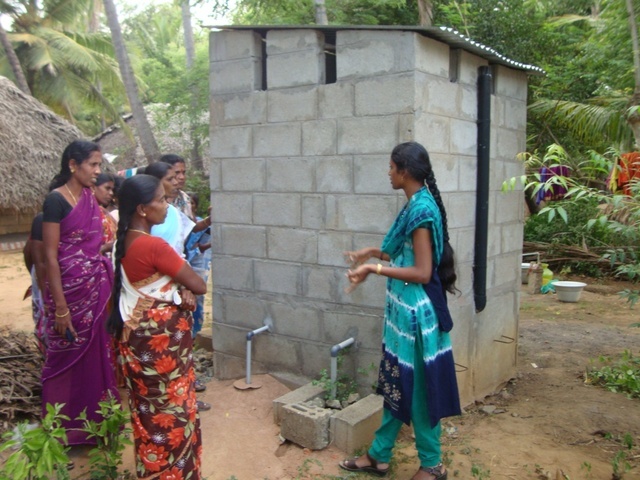 of model ECOSAN toilets constructed in Vathalikadu and Kalanivasal villages during 2009-10 under PWX funding has resulted in the expansion of 50 nos. of ECOSAN toilets in the surrounding villages. The funding was received only on 15th March 2011. Siince there was Assembly elections and Model code of conduct was in action, meetings involving women SHGs could not be conducted till 18th May 2011. The project was actively taken up from 20th May 2011. Immediately after the initial sequence of awareness meetings, the women SHG members were taken up for an exposure visit to the existing ECOSAN toilet. 50 women participated. We have received 60 nos of applications for the ECOSAN toilets from the participants. In the application it was proposed to construct 50 nos of ECOSAN toilets. But during the period of 8 months from the date of application, the cost price of important raw materials like cement, river sand, bricks has increased manifold. Also the mason wages has doubled and hence with the available budget it would be possible to construct 42 nos. only. The revised budget is attached herewith. netru puthukudieruppu village visit ponen.payanali sabeenabegam veetukku ponen.avargalin anupavathai kettu therinthu konden. All the 42 nos of toilets constructed were effectively being utilised by the beneficiaries. 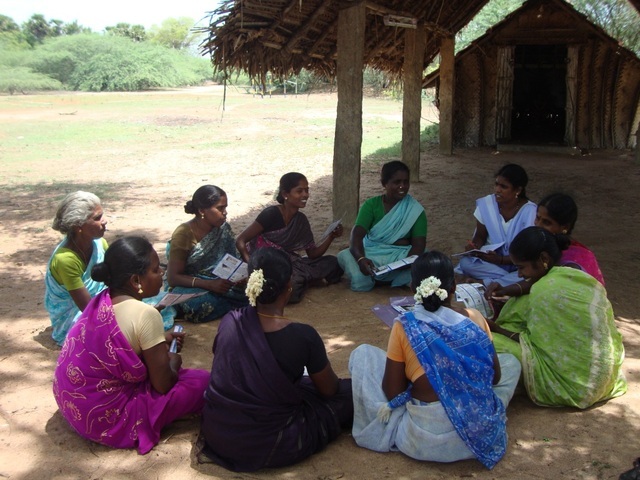 pinnavasal kiramathil ekoventure trust uthaviyudan seyalpadum shg santhithu ecosan toilet patriya awarness meeting koduthen.angu 15 members select seithu application form koduthu vanthen. 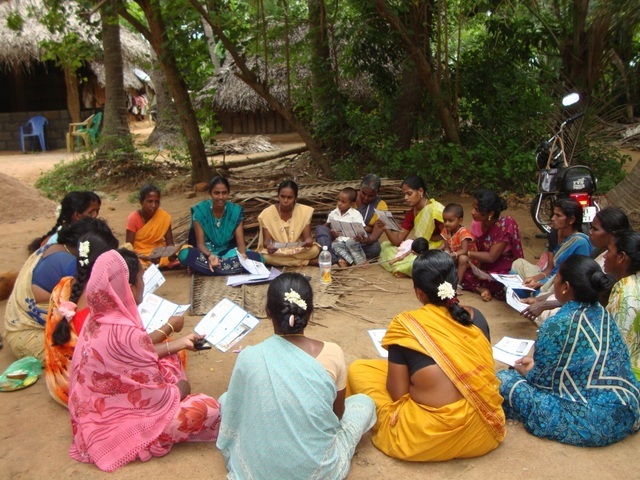 nan netru puthukudieruppu village visit ponen.payanali sabeenabegam veetukku ponen.avargalin anupavathai kettu therinthu konden. naan indru 8 ecosan toilets visit ponom. All the 42 nos of ECOSAN toilet construction was started and the basement upto 2 feet height ws made. It was arranged to trnsport the cement ECOSAN pans from Auroville on 29.12.11. But due to the THANE cyclone, the pans could not be shifted from Auroville, Pondicherry. In Auroville, the most of the inroads were blocked due to fallen/uprooted trees. It would take another 10-15 days to clear the area. It may take another 15-20 days to transport the ECOSAN pans. Hence the construction of toilets will be delayed. The construction of ECOSAN toilets in 42 households have begun on 1.11.11. The base portions have been completed. For the past 2 weeks we have to stop the construction work due to heavy rains. River sand unloaded to 6 houses at kazhanivasal. 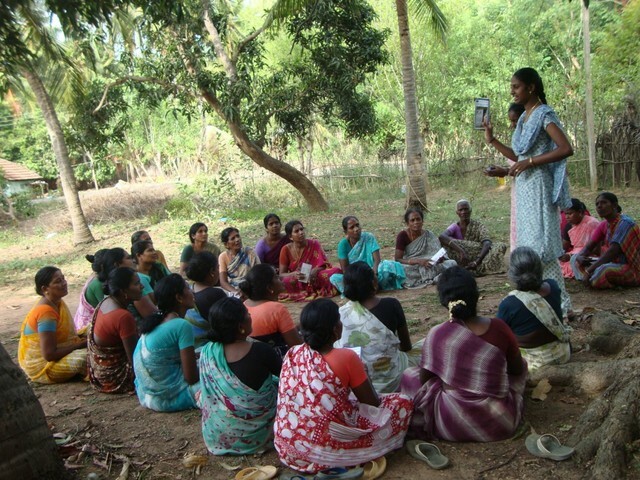 A sequence of meetings in the selective villages (Solaganarvayal, Pudhukudiyirrupu, Kazhanikottai, Veeriyankottai, Santhampettai, Kazhanivasal, Pookolai) were organised between 05.06.11 and 21.06.11 to select the willing beneficiaries for the construction of ECOSAN toilet with their contribution of Rs 2,500 per toilet. The importance of sanitation and the various features of the ECOSAN toilet were explained to the participants. A leaflet on ECOSAN toilet were distributed to the participants during the meeting. A letter of consent were obtained from the willing beneficiaries and thus approximately 76 applications were received during the meetings organised. Finally, a meeting was organised on 24.06.11 in the office of Ekoventure to finalise the list. Exposure visits for the identified beneficiaries were organised. 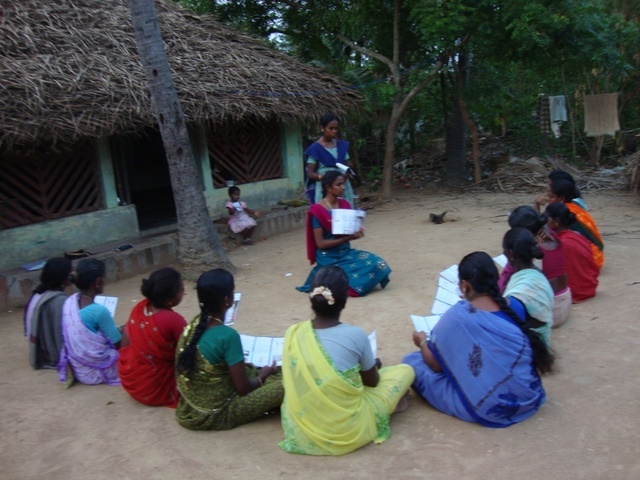 On 21.06.11, identified beneficiaries (11nos) from Kazhanikottai village were taken to Vathalaikadu village. The beneficiaries visited the ECOSAN toilet of Ms. Chitra and interacted with her on the merits and demerits of ECOSAN toilet. All the 11 beneficiaries confirmed their interest to have an ECOSAN toilet for their house. 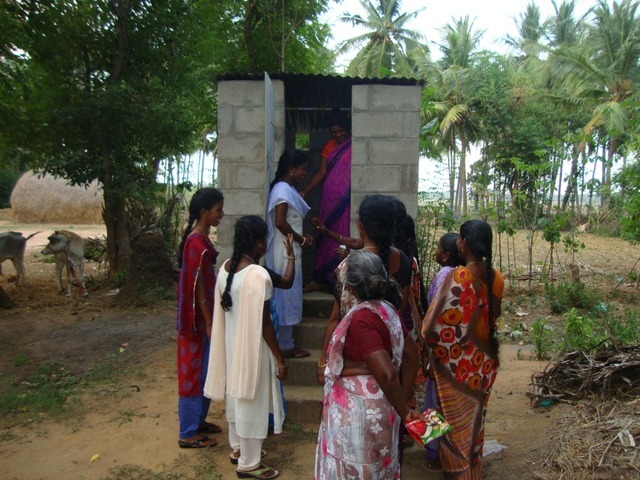 on 22.06.11, from Santhampettai 5 beneficiaries visited the ECOSAN toilet. 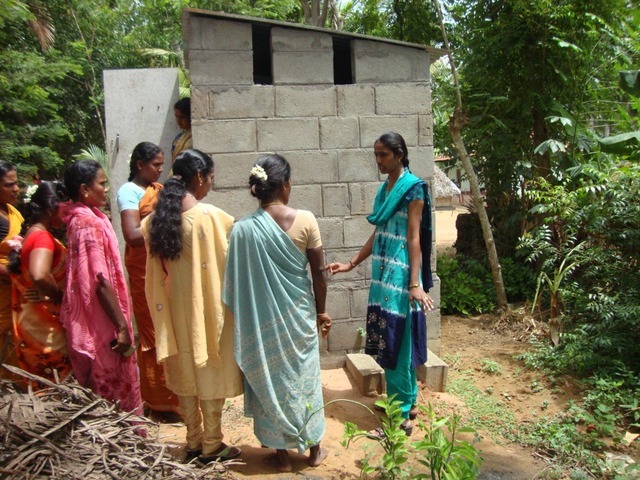 On 23.06.11, from Veeriankottai 8 beneficiaries visited the ECOSAN toilet. On 24.06.11, the beneficiaries (14 nos.) 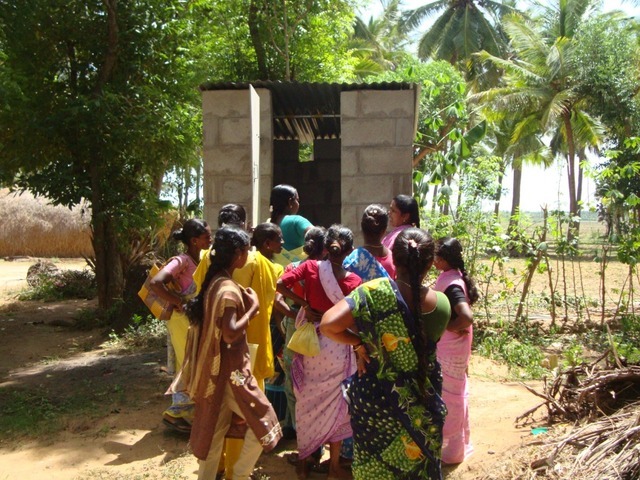 selected from Kazhanivasal village were organised to visit the ECOSAN toilet. 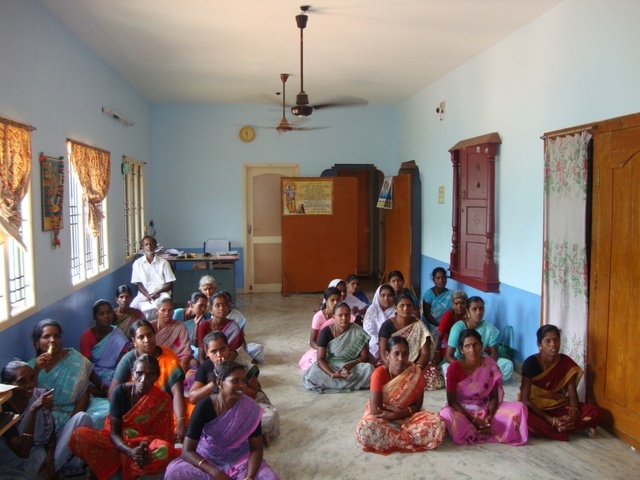 Ekoventure recieved the funds for the implementation of the project on 23.03.2011. However, Assembly elections for Pondicherry and Tamilnadu were declared on 01.03.11 and it was informed that the model code of conduct will be adhered to till May 18th 2011. 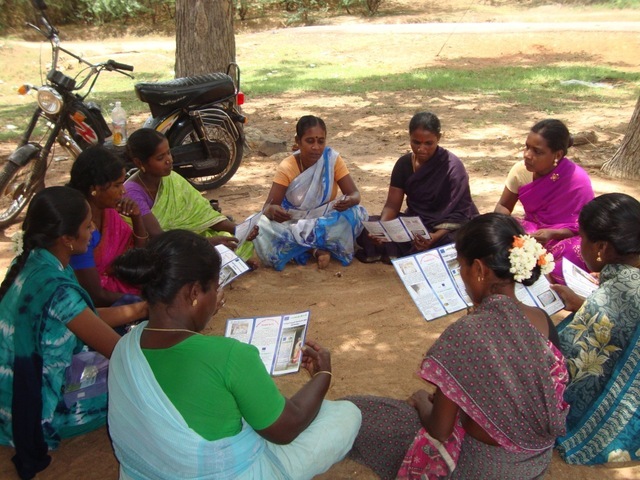 The district administrations have instructed not to conduct any women self-help group meetings during this period as it was suspected that the political parties would use the SHGs in distributing money/gifts to woo voters. Hence, immediately after the completion of the elections, we have started the process and conducted 2 meetings to identify beneficiaries from the women SHGs. We are unable to get the contribution amount from the DRDA for the 20 nos of toilets that were constructed during the previous year with the funding through PWX. The DRDA officials have informed that they will consider only the conventional toilets with septic tank. However, we are trying to convince them about the importance and the advantages of ECOSAN toilets over the conventional toilets. Earlier for each toilet we have made a compact ECOSAN pan with platform which has 2 separate pans. This caused great risks for transporting. Now, we have made two separate pans for each toilet. Thus it is very easy to transport the pans from Pondicherry to the project site at Tanjore district. The masons were trained in the construction of ECOSAN toilets. 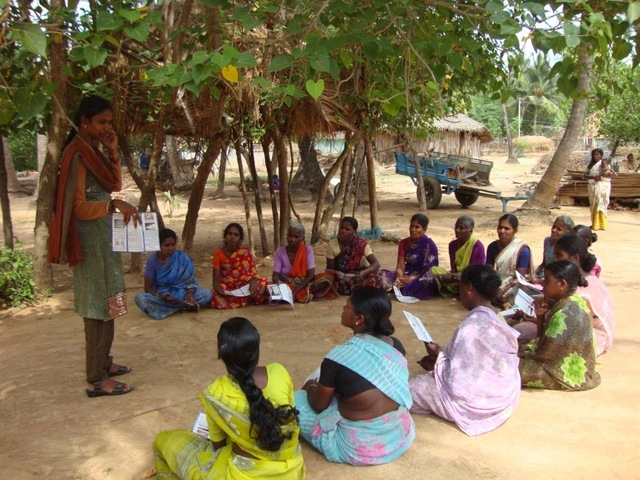 Further, awareness meetings were conducted about the importance of ECOSAN toilets.